The CLPE #ReflectingRealities report, which was funded by Arts Council England and published in July, revealed that only 1% of books published in the UK in 2017 featured a BAME [Black, Asian, Minority, Ethnic] main character. 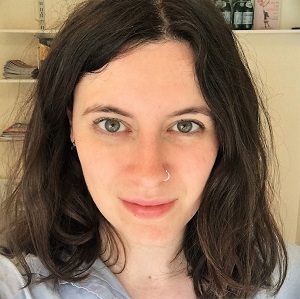 Lydia Silver, children's agent at the Darley Anderson Agency, was so dismayed by the finding that she decided to run an open access window throughout the month of November to encourage submissions from BAME writers. In part, Silver hoped to find new talents; but a wider, more general hope was to demystify the publishing process for those who may not see themselves represented in what is currently appearing on the shelves. "I'm hoping it'll be something that works for us all year round - I really don't want it to be a one month thing, and then we forget about it," she says of the initiative. "We want to get more submissions from more diverse authors, which hopefully will lead to more diverse books, and children being able to see themselves more widely represented. I know there's a long way to go, but perhaps this can be the start - I know others in the industry are doing similar things." The agency is considering another open access month next year; and perhaps it will become an annual initiative. The Darley Anderson Children's Agency received more than 130 submissions from BAME writers through November - and there was a rise in the submissions to the main agency inbox too. There have been question and answer sessions on Twitter, as well as guest posts from the agency's authors on its blog - one of the strands of the programme is that the agency's favourite submissions receive detailed feedback from a Darley Anderson author. The partnering authors are Dave Rudden for YA, Polly Ho-Yen for middle-grade, and Rashmi Sirdeshpande for picture books. Sirdeshpande is a mentee on Penguin's WriteNow programme, and was the first member of the scheme to sign a publishing deal for picture books, with Puffin. The mentoring element is important, Silver explains, as she didn't want it to be a case of "send it in and we might look at it. I wanted people to feel that we're looking at developing writers' careers. I think there's a lot of generic advice out there, but if you're not from a background where there are people you know who write, and where there are connections and critique groups, then you are quite isolated creatively". Silver hopes that, with helpful feedback, aspiring authors who are not ready to be represented and published, but who may get there with encouragement, will be in a position to find publication in the future. Silver studied French at the University of Sheffield. In her year abroad, she was an assistant primary school teacher, and read a lot of children's books. Two weeks' work experience in editorial at Random House, in the children's team, saw her fall "in love" with children's publishing. From there, she got a paid summer internship programme at Michael Joseph and, after that, a position in editorial at Egmont. She joined Darley Anderson in March of this year to cover maternity leave for Clare Wallace, who is the other children's agent. Wallace has since returned, and both agents are now working on their own lists. Silver describes how the the open access month came about. "I asked authors that we represent, and other authors of colour, 'What is stopping this from happening?' Because I wasn't seeing many diverse submissions in our own inbox. People advised me to mention specifically that we were looking for BAME submissions, so I put that on our website; and then I came up with the open access idea. Ideally, I'd love to not have to run this sort of thing, and for every author to just send us stuff, but the reality is that that's just not happening - there's a sense that publishing is just for white, middle-class people. I'm hoping this might go some way towards balancing it out. "One of the things that came out of this month, in terms of children seeing their stories represented, is that there seems to be a feel, among editors, but possibly also among writers, that when people say they're looking for diverse stories, they're looking for ‘issues' books. We've had writers, from a Black or Asian background, ask, 'I'm writing a story, but it's not about that [their background]. Do I still count?' It needs to change, so that of course that counts, and we're not just looking for a book that's about ticking boxes." She adds that most editors are aware of these problems. 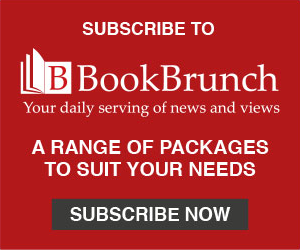 Speaking about the kinds of books she'd like to come across in her submissions inbox, she says that she'd love to find a new Louise Rennison, but from a diverse background. "There's not much funny stuff; that goes back to the problem of people thinking that if you're from a BAME background, then you should be writing an 'issues' book," she says. "I don't want that; I'd love to find a funny middle-grade, or I'd love to find magical adventures that come from a different background to a Western one, something like Who Let the Gods Out? – but with a whole different mythology that I don't know about yet. On the picture book side, something that handles slightly more difficult ideas, but in a really simple, child-friendly way. And funny across everything, particularly in YA."